I rarely get a chance to update my portfolio, but wanted to highlight a few of the sites I’ve created for my clients over the the past year. Business has been exceptional, the best year ever at ClickNathan.com, and with a new baby boy having arrived (bringing our total count to 3 gorgeous little rascals running around the place) in 2012 as well, the timing couldn’t have been more impecable. A big thanks to everyone I worked with over the past twelve months, I’ve enjoyed every one of these projects! 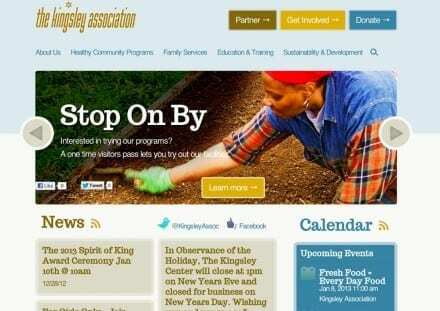 Back in my Pittsburgh days, I was a member of the Kingsley Association, primarily so I could take advantage of their swimming pool to get a little winter time fitness in the form of doing laps in the warm water. When they contacted me to help redesign their website, I was naturally thrilled. The site was my favorite that I created in terms of design in 2012, and one of my top favorite designs ever! Though I lost out to the fine folks over at Bearded for the redesign and development of the primary Children’s Museum website (they did an excellent job, by the way, be sure to check it out), I ended up scoring the contract for redesigning the MAKESHOP blog. 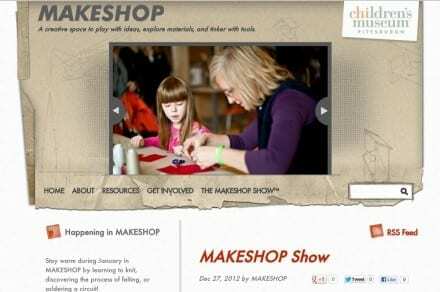 MAKESHOP is a portion of the museum where kids get hands on and interactive, working with tools, looms, gears and all types of other fun stuff that promotes children learning how to use their hands to make things in an ever increasingly digital world. I’ve worked with dozens of non-profits over the years, in fact, it’s kind of my thing. 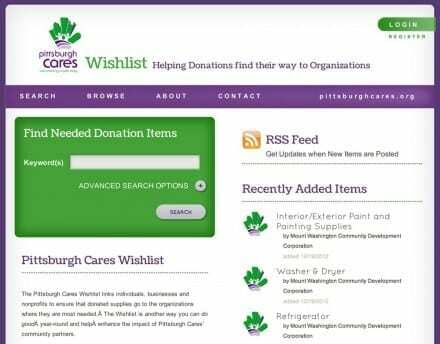 So when Pittsburgh Cares, a non-profit that works to connect volunteers with other non-profits in the city, approached me about creating their Wishlist app, I was certainly on board. Building on the existing branding of their primary website, we created an online app that allowed non-profits to submit Wishlists, ie, items they could really use to help move their missions along, and then visitors could search through those items to see if they had any of those things available to donate. 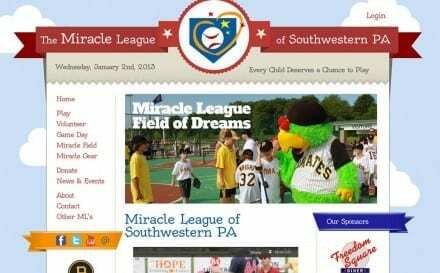 Another non-profit site I was happy to be a part of, the new website for the MLSWPA (for those of you unaware, the Miracle League is a baseball league where disabled kids get a chance to play America’s favorite pastime) features a revamped registration system to cut down on administrative work along with a fun design. I’ll be working with MLSWPA and a handful of other Miracle Leagues in and around the Pittsburgh area this year, too, as we continue to build out a system that they can expand to other leagues in the nation. Looking for a professional in Pittsburgh? 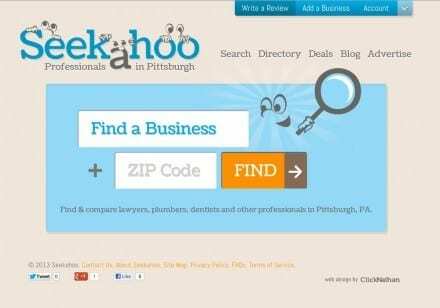 Seekahoo.com is your one stop search engine and directory listing for plumbers, lawyers, and any other type of professional service provider. Featuring a database of over 800 strictly local businesses, it’s like a Yellow Pages but created by and for Pittsburghers. Another example of just how powerful WordPress can be when used as an app engine. 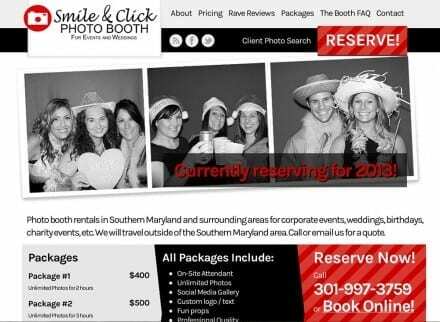 Last but certainly not least, this fun little site I put together for a photo booth rental company in Southern Maryland is the epitome of the type of website I like to create: simple, elegant and functional, and the client could not have been more amicable throughout the process. Once you book their services and have the time of your life snapping shots of you and yours, you can login to the website and search for your pictures to give them a look. The site features a few little tidbits of CSS3 that enhance the experience when applicable, but aren’t required or older browsers. Thanks again to everyone I worked with in 2012 and here’s to ’13 being another great year!